3 pickup Tele guys: What's in the middle? Discussion in 'Guitars in General' started by james..., Apr 15, 2019 at 11:43 AM. Thinking about converting mine. Curious what you like to throw in there? Many put a Strat pickup in the middle , going to be a Fralin P90 in the middle when I get to putting a third in my 3 pup build. Duncan Antiquity Mini in the neck, Fralin Blues Special Strat in the middle, Harmonic Design Super-90 in the bridge. I have it wired on a 4-way switch so I get: neck only (humbucker), neck+bridge (Tele or LP), mid+bridge (Strat quack) and bridge only (P90). It’s an incredibly versatile setup. big mike and Hamer95USA like this. On an Oak over Cherry body. Are you splitting the Fred? A Van Zandt Blues Strat pickup. I discovered that I love those in the middle position 20 years ago. 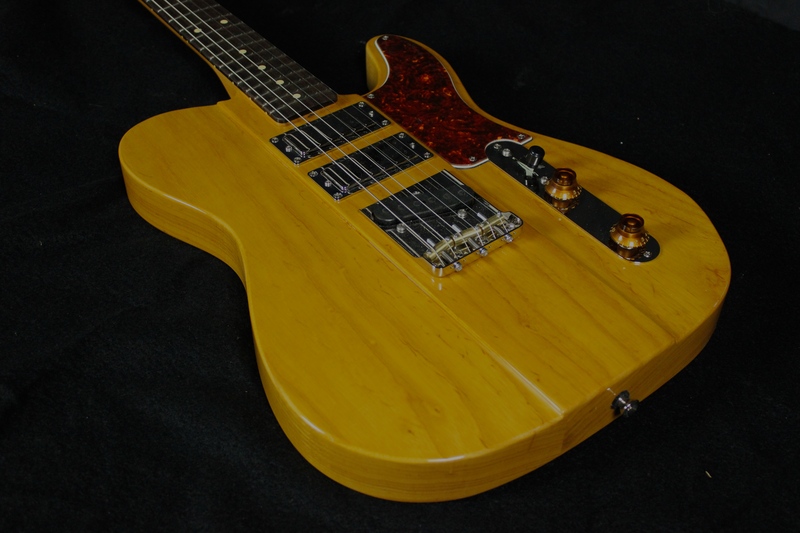 One Tele: Lollar Special S sandwiched between a Special T Bridge and Royal T neck. Oh yeah. Other Tele: TV Jones Starwoods all around. No. Fred is the Perfect Tele bridge humbucker as it sits, full on HB. I think Fred gets a bad reputation due to the association with Satch and gain. But on its own, it's quite bright due to its unbalanced coil architecture and modest 10k output. Its the most perfect HB match to a traditional Tele SC bridge sound I could hope for. I love Fred in Teles, its like Roy Buchanan all coked up for the evening. Stormin and Laurence like this. 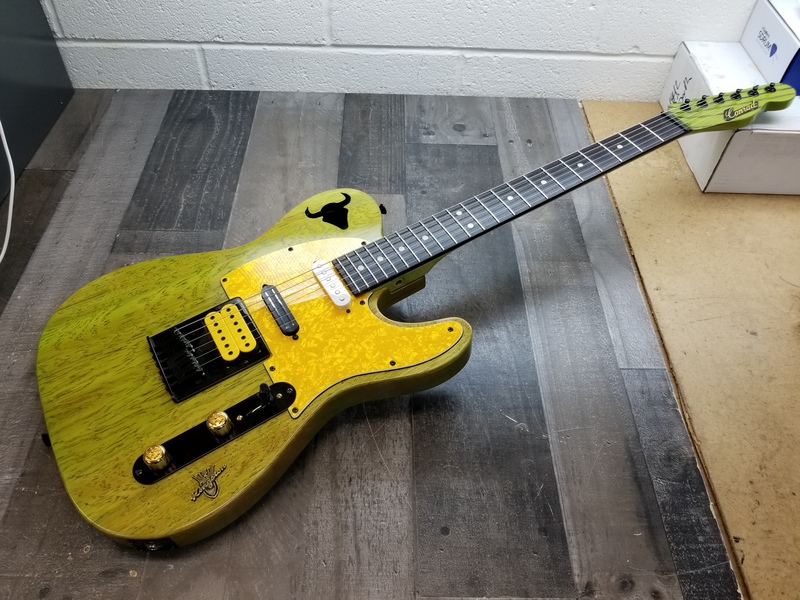 The traditional Nashville Tele configuration has a Strat pickup in the middle. I modified my Nashville Tele to have Strat pickups in both neck and middle position, Seymour Duncan Classic Stack Pluses, to be precise. They perfectly complement the Duncan Vintage Stack Tele pickup in bridge position. This setup isn't an exact substitute for a Strat - when I play a Tele, I "think Tele" - but tonally it can pretty much cover the same ground.